Hanumat Akhand Path – The countdown begins! We are only one week away from our event! 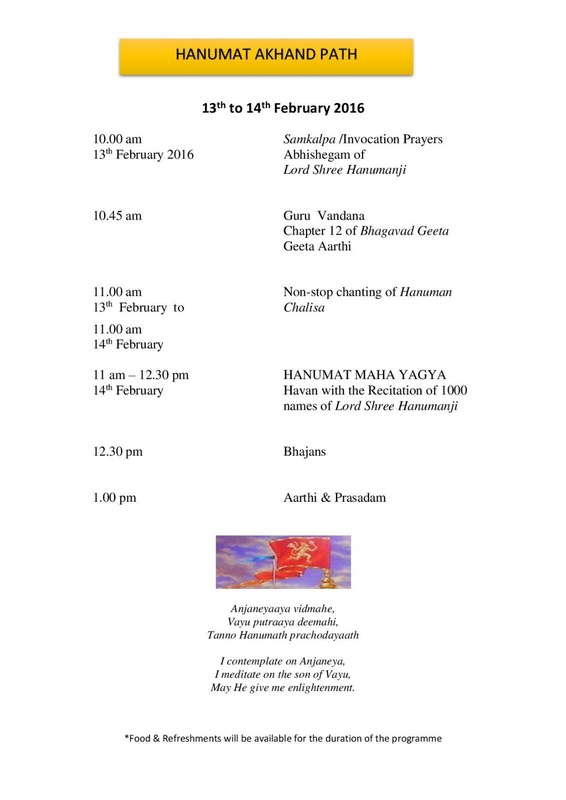 For the first time ever in Malaysia and in the history of Geeta Ashram Malaysia, a Hanumat Akhand Path (24-hours’ chanting) of the Hanuman Chalisa is being organized in honour of Lord Shree Hanumanji. Devotees and spiritual institutions from all over the country are cordially invited to join and participate in the chanting.